You need a Creasematic 150 Programmable Creaser to prevent toner cracking. I’d hate to see the look on your customers’ face if you go straight to a folder and allow this mistake to slip through. This model is ideal for digital printing applications and creases up to 2,000 sheets per hour. No toner cracking! No problem! 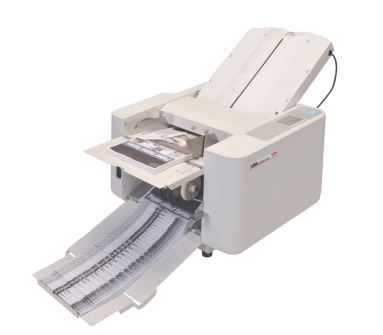 The Creasematic 150 makes up to 9 creases per sheet (11″ x 17″); accommodates sheet sizes up to 39 inches. There are 5 memory settings and tools that allow the setting of 4 different crease widths to accommodate a wide variety of paper stock. 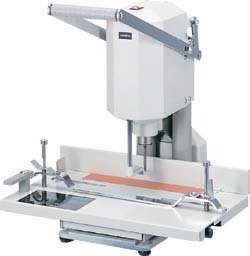 It’s set up to connect with an in-line perforating system, mounted on casters for easy shop rearranging and its got a nice quiet operation. The Creasematic 150 Programmable Creaser is $7,999 at Lloyd’s. We’ll throw in free shipping and a gift with your purchase. For more information on the MBM Creasematic 150 Programmable Creaser or to place an order, please visit the Lloyd’s website.